The Nano-materials and Devices group, led by Professor William S. Wong, is focused on innovative solutions to enable high-performance and low-cost flexible electronics. The group is investigating heterogeneous integration of silicon nanowires with a-Si:H thin-film devices onto plastic substrates to create novel high-performance flexible electronic systems that increase functionality for displays, image sensors, and energy generation and storage applications. The group uses the capabilities of Giga-to-Nanoelectronics (G2N) to synthesize silicon nanowire materials, process thin-film devices and develop novel nanowire/thin-film hybrid devices through printed electronics and pulsed-laser processing. The goal of the research is to develop novel processes and materials that will improve system performance and reduce fabrication costs. 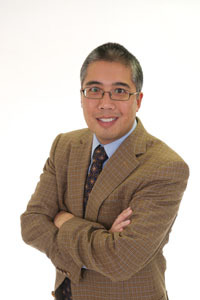 Find out about some of Professor Wong's publications on our publications page.